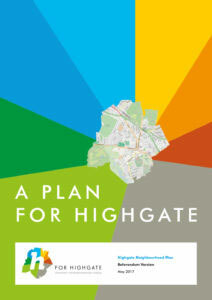 This Plan is our vision for how Highgate can meet the challenges it faces and develop into a better place to live and work in the coming years (until 2031). 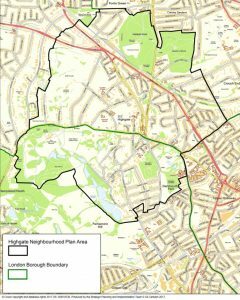 The Plan covers the area widely regarded as ‘Highgate’ by those who live and work in this distinctive part of North London. It is broadly consistent with the postcode N6. 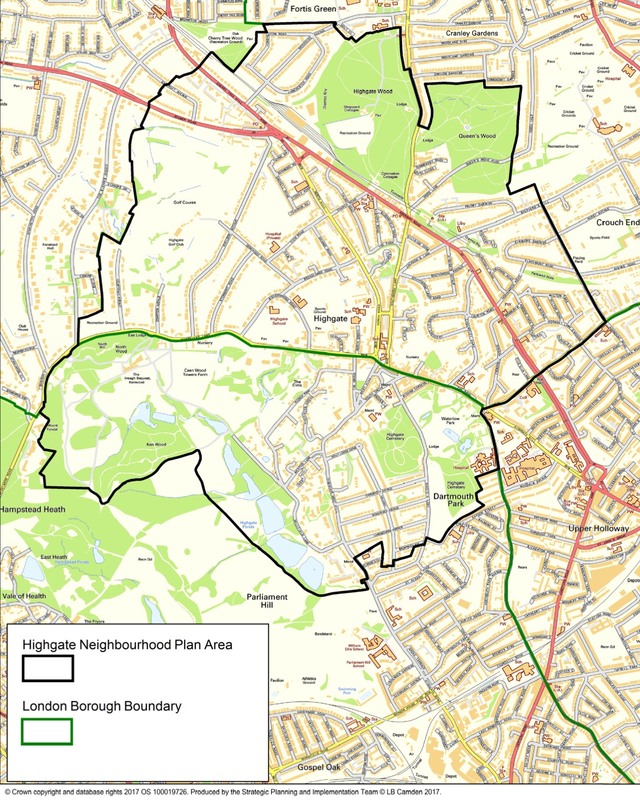 The area lies within the boroughs of Camden and Haringey, and is outlined in black. Work on the Plan began in January 2013. We gathered evidence from Camden and Haringey’s technical evidence base, census statistics, as well as conducting our own research. It was important to engage with Highgate residents (including children), businesses and stakeholders. We did this through surveys, a “placecheck” walkabout, regular newsletters and website updates, community planning workshops and open meetings. We consulted with stakeholders on the first and second drafts of the Plan, before submitting it to the London boroughs of Camden and Haringey in July 2016. They appointed an independent examiner to review it. Her report was accepted by both councils, after which a final version of the Plan was put to referendum. Read the supporting documents and evidence that informed the Plan. The Highgate Neighbourhood Plan was approved by a referendum of Highgate residents on July 6, 2017. Of the 2,361 people who voted, 88% were in favour of the Plan. Turnout was 18.2% – the equivalent of a council by-election vote.